The World Adivasis Day is being observed on August 9 and the Integrated Tribal Development Agency(ITDA) is planning huge celebrations in north-coastal Andhra region. 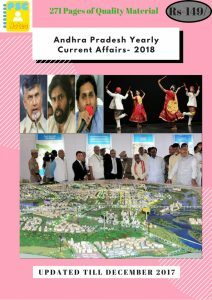 ITDA officials are gearing up for chief minister Chandrababu Naidu’s visit to the Agency areas and make the event a big success. Many new undertakings in convergence with NREGS are being planned to mark the occasion, while projects such as road-laying and introduction of coffee and horticulture vegetable plantations are being lined up. The World Adivasis Day has garnered a lot of attention from various quarters and yet, tribals continue to be getting a short shrift and their culture not being preserved. World Health Organisation declared Somalia as Free Polio. The United Nations World Health Organisation (WHO) declared no record of any case of polio disease in Somalia in the last three years declaring the country polio free. Afghanistan, Nigeria, and Pakistan are the remaining countries where polio is still being recorded. Somalia is still responding to an outbreak of acute watery diarrhea/cholera which began in January 2017. Scientists from US have developed the world’s first plant-based Zika vaccine that may be more effective, safer and cheaper than other vaccines against the mosquito-borne Zika virus. The vaccine was developed using proteins derived from Tobacco plant. Currently, there are no licensed vaccines or therapeutics available to combat Zika. The plant protein-based vaccine uses smallest and most unique part of the Zika virus that can still elicit a potent and robust immune response. It produces a potent protective immune response against Zika Virus and also not produce antibodies that may be cross reactive for West Nile fever, Dengue, Yellow fever or others. ð Indian Ocean Naval Symposium’s (IONS) maiden International Maritime Search and Rescue Exercise (IMMSAREX) will be held in November 2017 in the Bay of Bengal. ð The ships and aircraft of the members and observers of the IONS including China, India and Pakistan will participate in the exercise. ð The IONS is a regional forum of Indian Ocean littoral states launched by India in February 2008.
ð The IONS is a regional forum of Indian Ocean littoral states launched by India in February 2008. It is a voluntary initiative that seeks to increase maritime co-operation among navies of the littoral states of the Indian Ocean Region (IOR) by providing an open and inclusive forum for discussion of regionally relevant maritime issues. PP (Previous Paper) IAS 2017. Inaugural IONS was hold in India in 2015 under the championship of the Indian Navy. IONS is a voluntary initiative that seeks to increase maritime co-operation among navies of the littoral states of the Indian Ocean Region. ð Infusion Nurses Society (INS), a global authority in infusion therapy launched India’s first online course on Infusion Therapy for nurses. ð It mainly aims to train over 3,000 nurses in the vital medical procedure. ð It deals with all aspects of fluid and medication infusion, intravenous or subcutaneous application. · India-ASEAN Youth Summit to be held in Bhopal. The event is being organised by Foreign Ministry, Madhya Pradesh government and India Foundation. The exercise will mark the 25th anniversary of the ASEAN-India dialogue partnership in the ongoing year and also the commemorative year’s theme of “Shared Values, Common Destiny”. Madhya Pradesh has been chosen for this event as the Sanchi stupa here strengthens the state’s cultural affiliation with the ASEAN countries. Taking into account the “Act East Policy” of Prime Minister Narendra Modi, the event becomes even more significant. Over 175 delegations of youths from Indonesia, Singapore, Philippines, Malaysia, Brunei, Thailand, Cambodia, Laos, Myanmar, Vietnam and India will attend the Summit.